Konnnichiwa dear lovely SHODO learners! In the children’s class, we practised both Hiragana and Kanji texts after our usual warming-ups. 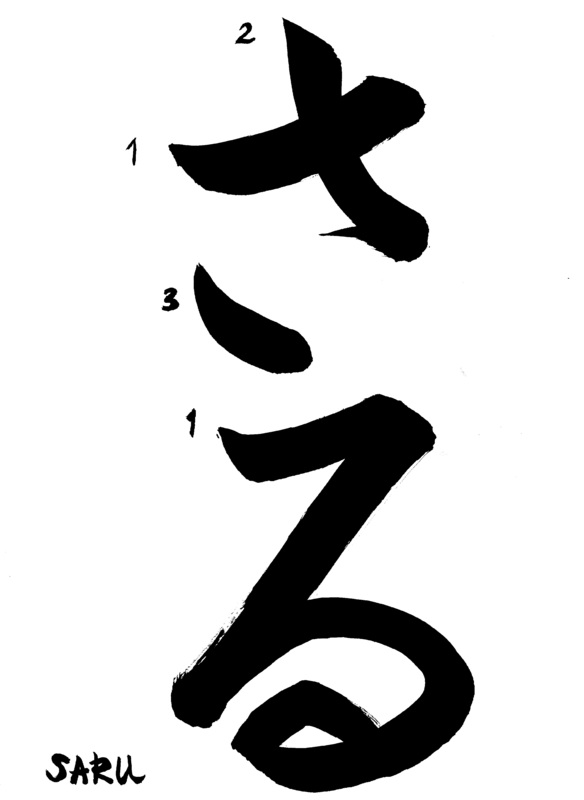 Every kid thought Hiragana was much easier to do, but in fact the Kanji can be less complicated to balance the middle line. In the adult session, we first did the Hiragana text a few times as an extended warming up and then went with the Kanji text and so on. 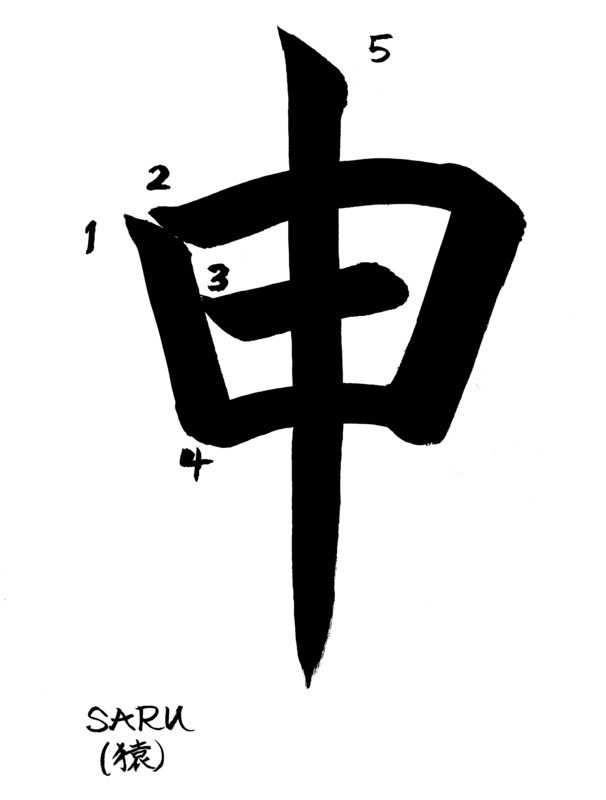 The Kanji text has a major technique called KENSHIN /Needle -Technique. And the Kado/Corner Technique should be very thick and dynamic. For the kid’s class and the Sumie class, I prepared this jumping monkey. It is done mainly with many line-combinations. The simple base is the layer of the “S” movement technique. I would recommend for the zodiac calligraphy text like this in January/ February that you “calligraphy” the year and the date and your name ( or your calligraphy name). Finally you can finish off with your name.stamp if you’ve got one!! 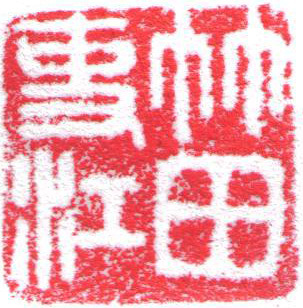 A bit of red colour from the stamp can round up the whole composition. 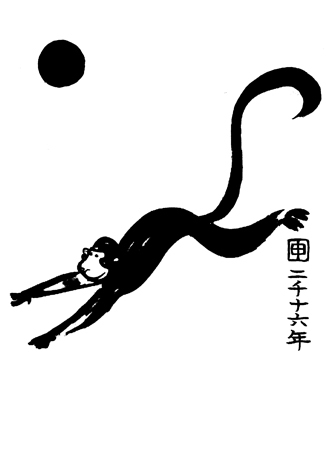 Have fun with Shodo and a good healthy year of the Monkey! !